There’s probably no more dramatic contrast in the English landscape than that between the Dark and White Peak of the Peak District National Park; and all because of two different kinds of rock – Gritstone and Limestone. Divided by the Edale and Hope valleys, to the north is the Dark Peak – an area of high moorland, its hard Gritstone foundation chipped away by the elements into undulating wild plateaus of heather and peat and rocky ‘edges’; to the south, the White Peak – its bed of soft Limestone sunk into gently folded hills, farmland and hidden valleys, known as Dales. In contrast to the wild, windswept and barren moorland of the Dark Peak, these Dales are places of fecundity – steep-sided valleys carved by rivers and streams into self-enclosed worlds, protected from wind and cold. 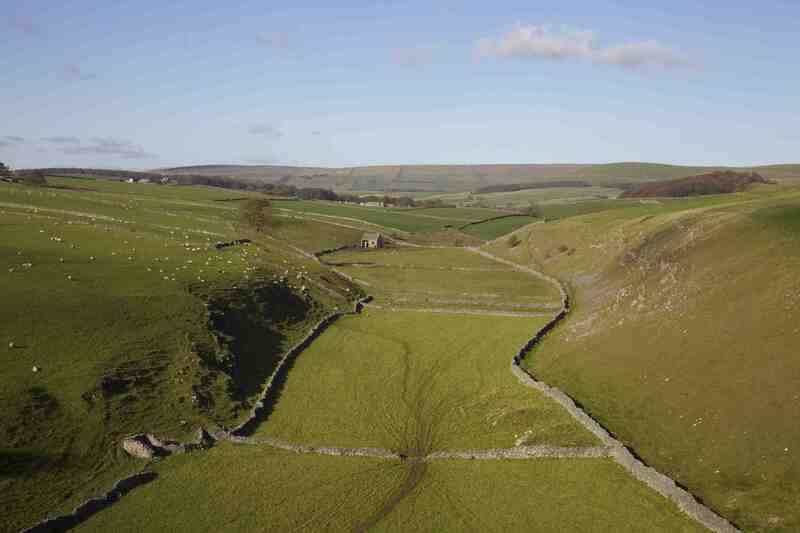 On a map, the Dales are identified by the serpentine windings of watercourses, enclosed by narrow countour lines. 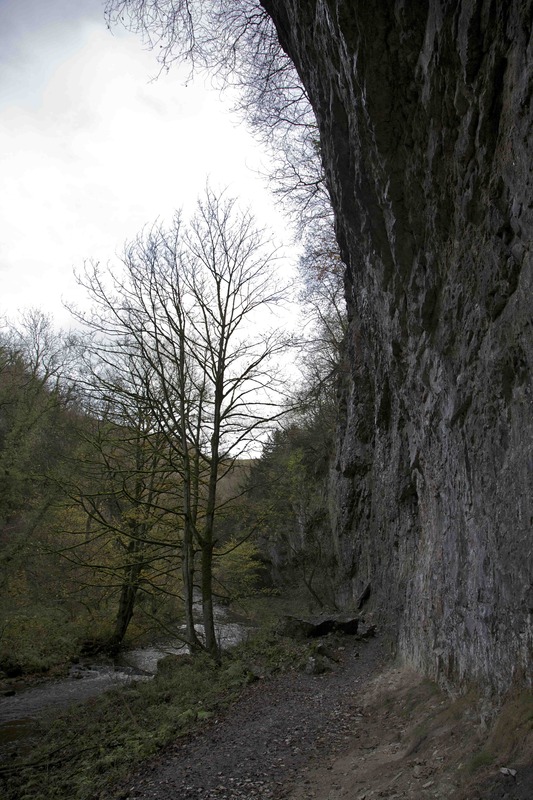 In reality, they are almost hermetically-sealed environments, usually hemmed in by thick broadleaf woodland and a treacherous floor of uneven and slippery limestone, collected over time from the crumbling cliffs that fringe the upper slopes. 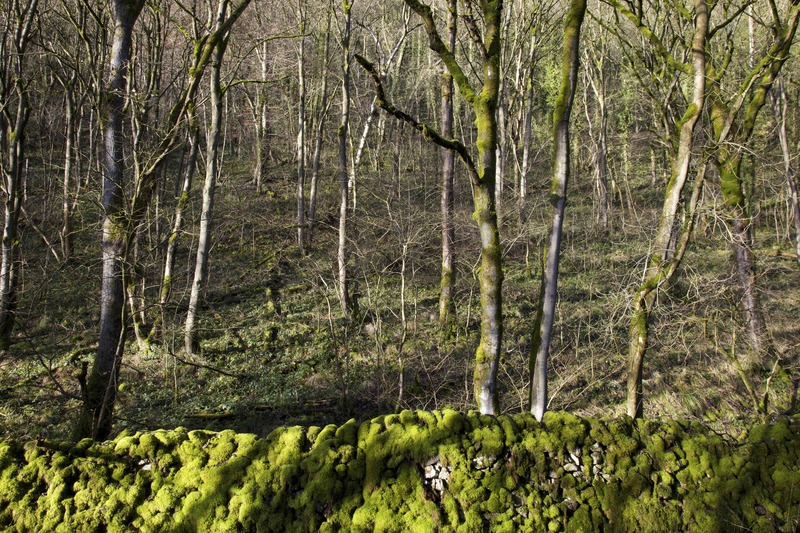 With alluring pastoral names – Monks Dale, Millers Dale, Dove Dale, Hay Dale, Chee Dale – these valleys are places cut off from the elements, where moss covers wood and stone alike, where exotic birdlife flourishes, and where ancient trees gradually sink into decay. It is perhaps unsurprising that these secret spaces were one of the most important sites for the birth of England’s industrial revolution. 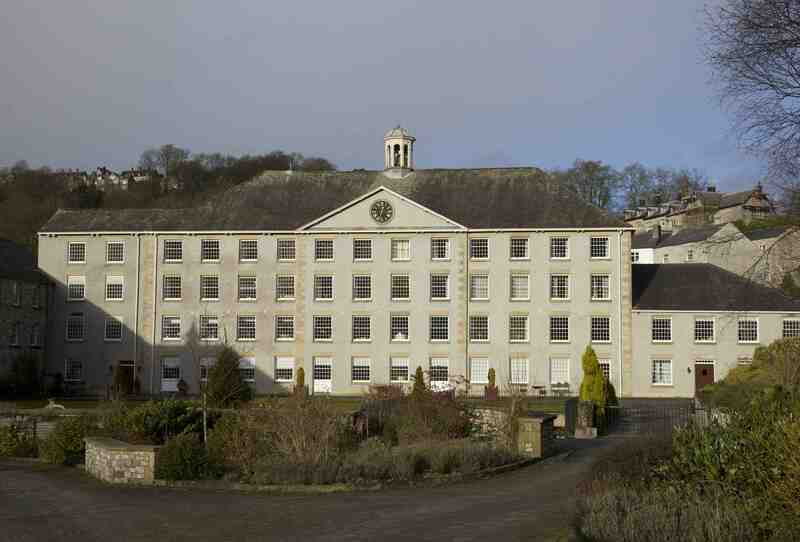 In the last quarter of the eighteenth century, the Dales saw the building of the first large-scale water-powered textile mills, such as Cromford (1771) and Cressbrook mills (1787). These provided the template for the hundreds of mills that would later define the urban centres of the industrial revolution: Manchester, Leeds, Sheffield. In these early days, production on this industrial scale needed fast-flowing water to power the steam-engines that drove the mechanised looms. It seems appropriate that the industrial revolution should have begun in these hidden worlds: the mills and factories almost shamefacedly emerging out of an otherwise agrarian world; their new kinds of workers housed in rustic cottages in the surrounding hills. Thanks v much! The high-res ones are better! 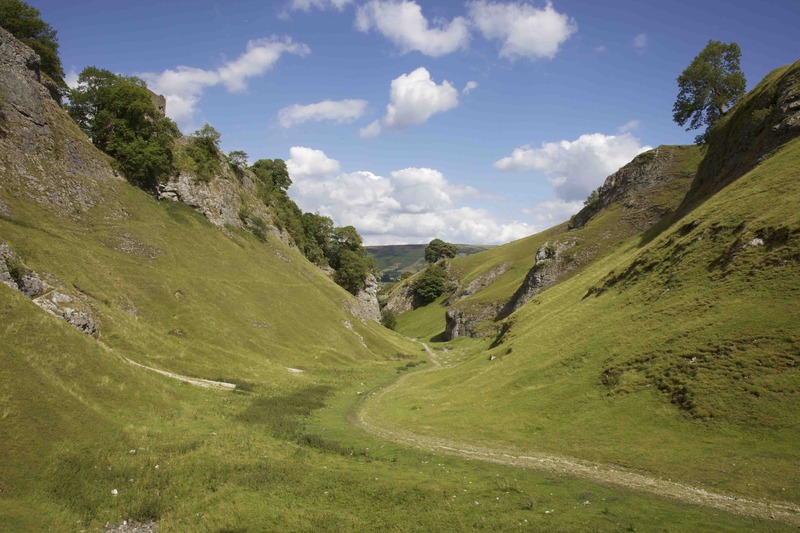 I’m pretty certain that the first photo is of Cave Dale at Castleton. You’re right! Thanks for the correction…. Thanks for these great images. 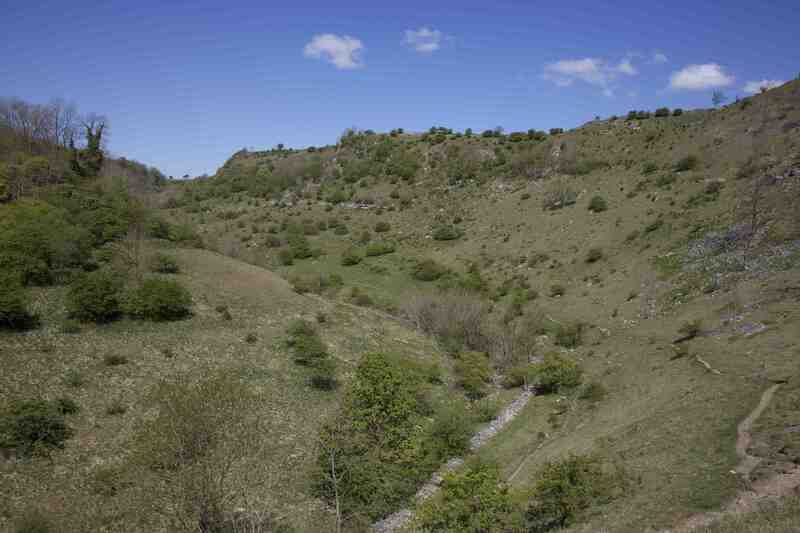 I can begin to imagine how my distant ancestors might have been attracted on a slow, generation-by-generation migration from north Staffordshire through these limestone dales during the sixteenth century before making the next step over the gritstone fells and moors into south Yorkshire during the seventeenth century.